Retired By King & Country February 2013! Order Now Availability Very Limited! 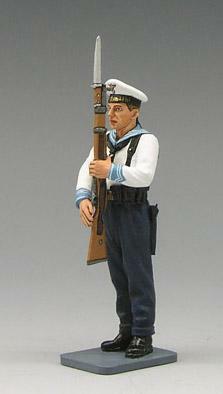 Kriegsmarine sailor in parade unifom of white top and navy blue trousers with Mauser K98 rifle and fixed bayonet.